Here is the second pie I made for Thanksgiving this year! 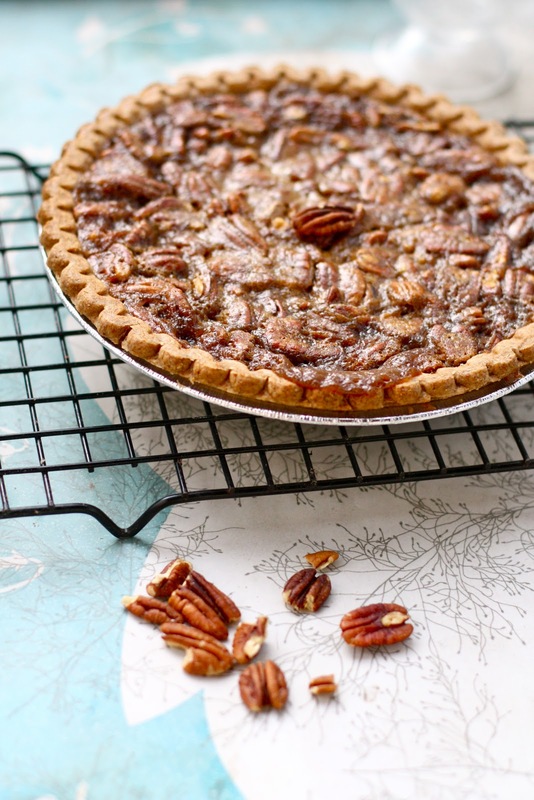 I have never actually had pecan pie before and figured my switch to veganism would completely rule it out for me, but then I found this recipe. My dad, who loves pecan pie, says it's the best he's ever had. My mom, who hates pecan pie, went back for seconds, and my brother and my aunt will love any pie as long as it's drowned in whipped cream. This pie was the overall favorite dish at my family's dinner- which is saying a lot, because we ate some amazing food! 1. In a medium saucepan, mix the sugars and maple syrup. Heat on medium-low and stir occasionally until bubbles begin to form, then stir constantly for 10 minutes. DO NOT let it boil too much, or you will end up with this. It should turn into a thick, syrupy caramel. After 10 minutes, stir in the margarine. Remove from heat and pour into a bowl to cool. 2. 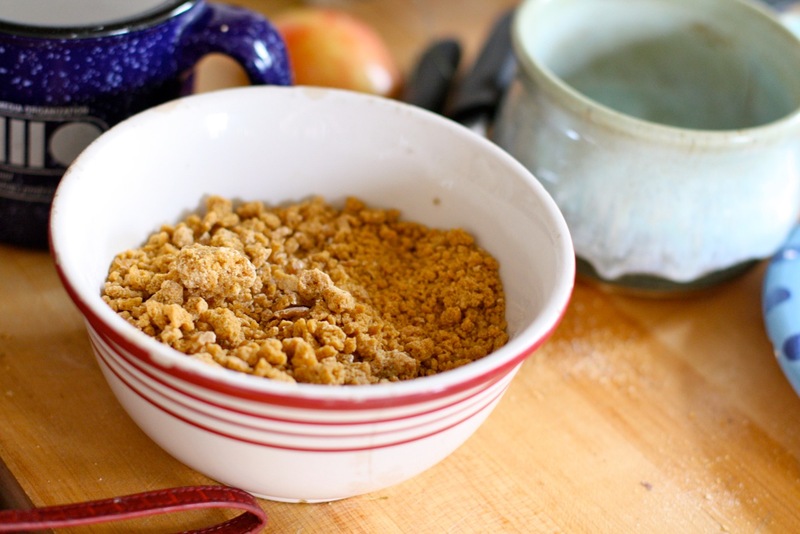 Crumble tofu into a food processor then add the milk, cornstarch and salt. Puree until smooth. 3. Preheat oven to 350º. Once the caramel is cooled (it can still be warm), add the tofu mixture and vanilla and stir. 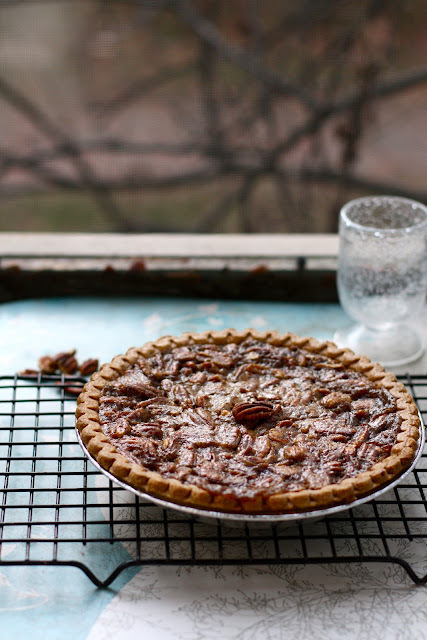 Fold in the pecans and pour it all into your prepared crust. 4. Bake for about 40 minutes, let cool and store in the refrigerator until you're ready to serve! Crispy and filled with maple custard- the perfect winter treat. You're welcome! What's great is you can't even taste that weird soy-ish taste that some tofu desserts have. This looks like the recipe from the PPK! I made it, too, and it was great. Vanessa: It's now my favorite too! Audrey: I think it is the recipe from the PPK, slightly adapted. The blog I got it from used their new cookbook! My kind of pie! Trully delicious! Thanks for sharing.